AM Recordings was established in 2002. After his first commercial release with Universal records in that year (for which he won the SAMA award for best dance track), head honcho John McGough realised he needed to shift his balance from live work in order to set up his own studio. At the time, John had been touring worldwide in live bands alongside acts such as Joycelyn Brown, Jools Holland, Rose Royce and the UK X-Factor team. Along with the live band work, John played in superclubs around the world, including Sets in Ibiza with big hitters such as Eric Morrillo, Deep Dish and Carl Cox. This wide range of experiences with so many talented artists has positively benefitted and influenced John’s writing. Not content with writing dancefloor-orientated tracks, John has had many releases on Café Del Mar, Buddha Bar and various chillout labels under the monikers of Koru and New Beginning. His tracks Another Day Over , and I Believe from Café del Mar Vol 12 & 14 have become underground Ibiza chillout anthems, selling over 500,000 copies worldwide and between them scoring over 13 million streams on YouTube. John has dedicated his life to music and has a growing list of labels he has appeared on as either writer, producer or performer. Labels include Cafe Del Mar Music , Cafe Republic, Paper Recordings, Soulfuric Deep, Dae Deep, Reelgroove, & Made in Ibiza. John had the honour of his Koru track “Hear Me” being remixed by Techno legend Carl Cox. It hasn’t all been dance and chill-out though. John has helped to develop many acoustic artists. The James Arthur Project was creating acoustic tracks for 2 years before Simon Cowell got his hands on X-Factor winner James Arthur. All the tracks were written, recorded and co produced by John in his beachside studio. 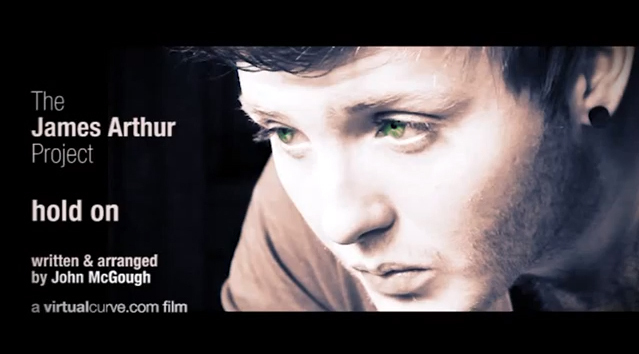 The James Arthur Project videos are still enjoying over 4 million views on YouTube. As well as working on his own material, John has been co-writing with and developing new artists including the massively talented – up-and coming artist Audrey English. 2015 will start early for AMR with the first project of the year being a sun-drenched house track due out in early 2015.